The results of his study of nearly 300 community college students indicate some positive outcomes even though they're not large, Fairlie admits. 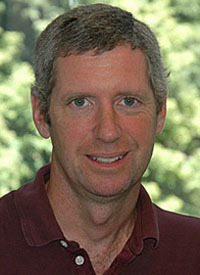 His findings appear in an article "The Effects of Home Computers on Educational Outcomes: Evidence from a Field Experiment with Community College Students," set for publication in The Economic Journal, published by the Royal Economic Society in Great Britain. Fairlie also presented his research at a recent conference of computer refurbishers in Austin, Texas. Fairlie, who has written extensively on the "digital divide,'' uses refurbished personal computers for his studies, provided by companies that recycle PCs. The machines may not be the latest models but still have some life in them, Fairlie said. "They are doing something very useful," he said of the refurbishers. "They dedicate their lives to keeping computers out of landfills and put them to good use in schools at little or no cost." His study over two years focused on 286 students at Butte College in Northern California who were eligible for financial aid. The students applied to receive a free computer. Half were selected at random and received a free PC; the other half became the control group. The computers were supplied by Computers for Classrooms, a Chico non-profit, that collects and refurbishes used PCs from state and federal agencies. Fairlie said he monitored the two groups for two years. "We looked at their grades, whether they graduated with a vocational degree or associate's degree, what courses they took, and whether they transferred to CSU or UC." Fairlie said he also looked at what the students did with their new machines, whether they played games, used Facebook or other social media. Having a computer at home "has a small educational effect on outcomes," Fairlie said. Most noticeable was the improvement on computer skills and grades of those students who lived farthest from campus. "Access is everything," he said. Fairlie found evidence students were using computers in general for games, social networking, entertainment, a phenomenon he sees among his undergraduate students at UCSC. "They use the Internet for research and write papers on the computer, but they'll also admit they spend a lot of time on Facebook." Fairlie presented his findings last month at the International Computer Refurbisher Summit 2011, meeting in Austin, Texas. In previous studies, Fairlie has looked at the effects of computers among high school students and found that grades improved as did preparation for college.